Janetti hasn't connected with their friends on Goodreads, yet. Janetti Marotta, Ph.D. is the author of 50 Mindful Steps to Self-Esteem: Everyday Practices for Cultivating Self-Acceptance and Self-Compassion. 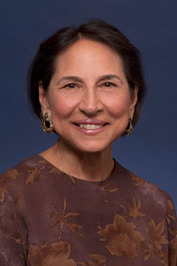 She has been a psychologist in private practice since 1987 and is Coordinator of the Mind-Body Program at Palo Alto Medical Foundation Fertility Physicians where she founded the Fertility Support and Mindfulness Programs. Since completing her B.A. from Yale University and Ph.D. from University of Nevada, Reno she has served on the Medical Staff of Stanford University Medical Center and has treated issues of self-worth as it relates to the broad spectrum of life challenges. Since 1971, she has practiced transcendental meditation, zen meditation, kriya yoga, kundalini yoga, and vipassana meditation ( Janetti Marotta, Ph.D. is the author of 50 Mindful Steps to Self-Esteem: Everyday Practices for Cultivating Self-Acceptance and Self-Compassion. She has been a psychologist in private practice since 1987 and is Coordinator of the Mind-Body Program at Palo Alto Medical Foundation Fertility Physicians where she founded the Fertility Support and Mindfulness Programs. Since completing her B.A. from Yale University and Ph.D. from University of Nevada, Reno she has served on the Medical Staff of Stanford University Medical Center and has treated issues of self-worth as it relates to the broad spectrum of life challenges. Since 1971, she has practiced transcendental meditation, zen meditation, kriya yoga, kundalini yoga, and vipassana meditation (mindfulness); traveled on pilgrimage to India, and co-led Vision Quests in the Native American tradition. Under the direction of Drs. Jon Kabat-Zinn, Saki Santorelli, and Bob Stahl, she participated in a professional training program in Mindfulness-Based Stress Reduction (MBSR). From her extensive clinical experience and long-term personal mindfulness practice, she brings the timeless teachings of the Buddha to discover that the person you yearn to be has been here all along. For more information visit www.janettimarotta.com. We’d love your help. Let us know what’s wrong with this preview of How to Wake Up by Toni Bernhard. “Let your heart lift you.